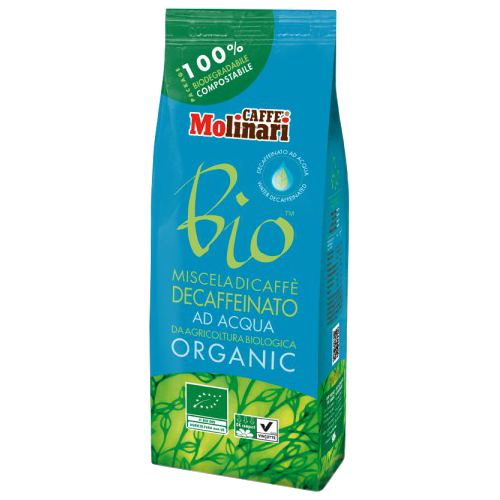 Molinari Bio Decaffeinato ground coffee is a blend of 100% Arabica beans. The coffee is decaffeinated which is made with a method using water and without the use of chemical solvents. The packaging is fully compostable, even the valve, while still holding the coffee protected. The packaging is sorted with other compostable materials. Molinari Bio Decaffeinato offers full flavor with a pleasant aroma, body and acidity.